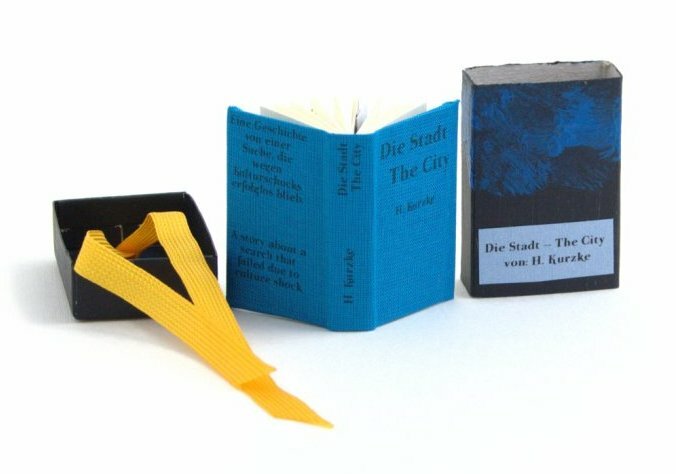 This a bilingual little pop-up book featuring one of my fragments, a very short “story about a search that failed due to culture shock” in German and English (the whole book is bilingual throughout, from title to blurb). 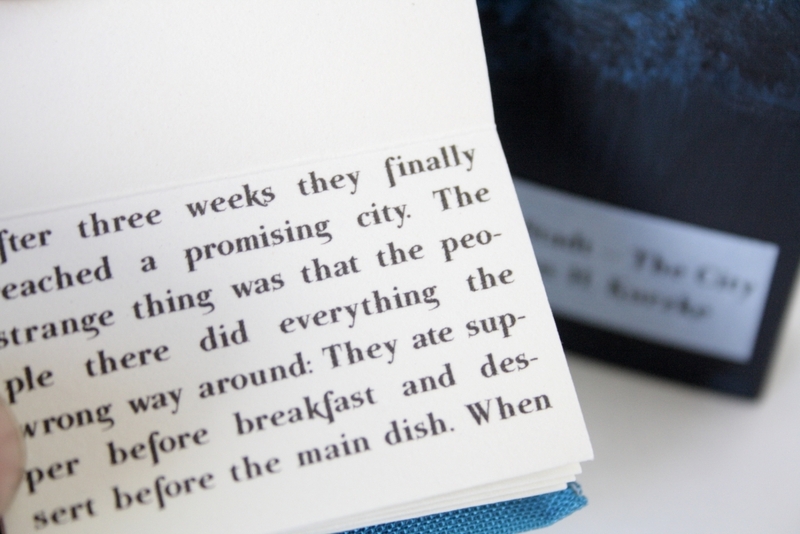 The center spread features a pop-up panel that shows “the city”. All hand-cut and assembled. 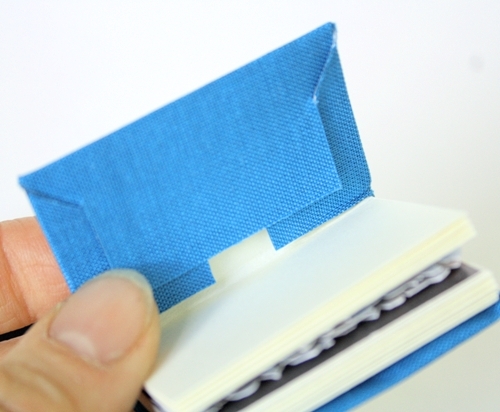 The cover is nonadhesively made just by folding book fabric. The box is painted with acrylics and slightly sanded for effect. I blogged about the whole process of making it: click to read. 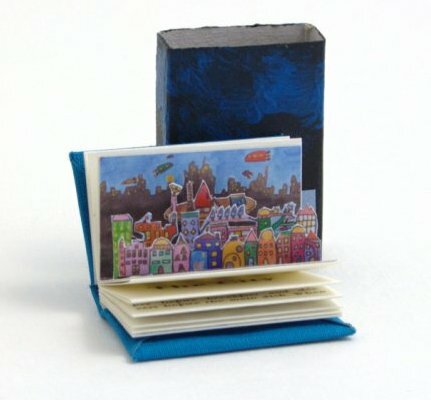 The book is for sale through Vamp & Tramp, through me via direct contact or in my Etsy shop. 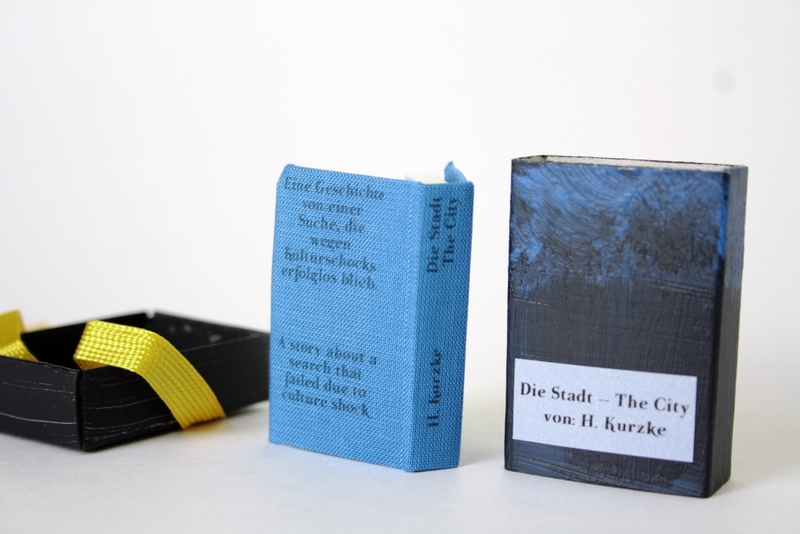 For the box: Acrylics, laser printed jeans paper, silken bookmarker ribbon. 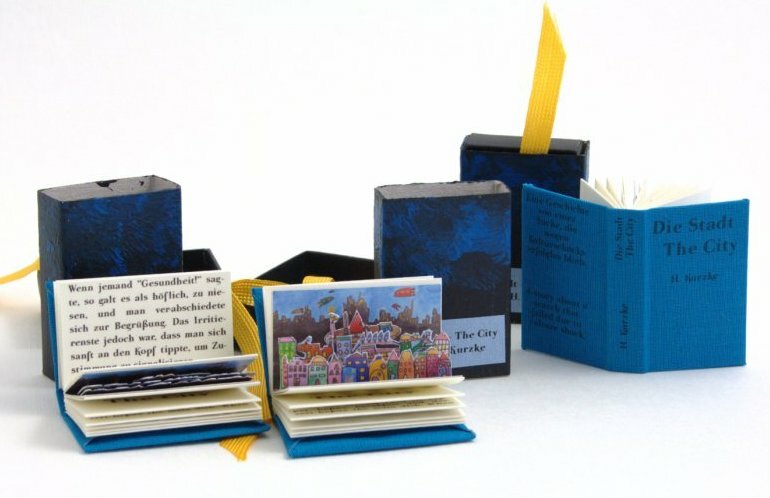 For the book: book fabric pigmented ink on book and presentation paper.